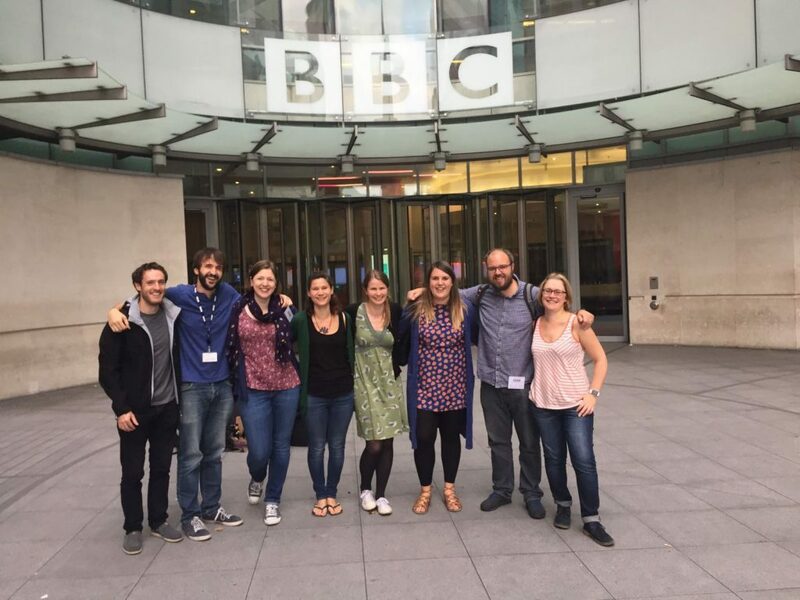 Several weeks ago I conducted the Workers Union Ensemble for a recording of a new work by Matthew Kaner, Collide, at BBC Broadcasting House. Matt is currently ‘Composer in 3’, a residency with BBC Radio 3 and Sound and Music and is writing ten new pieces to be recorded for broadcast on the station in the next ten weeks. The Workers Union Ensemble have a long, and happy, association with Matt so we were delighted when he asked us to record the first of these ten commissions. This entry was posted in Conducting, Recordings, Workers Union and tagged BBC Radio 3, Matt Kaner, workers union ensemble on September 28, 2016 by Ben. This entry was posted in Composition, Conducting, Electronics, Gigs, Improvisation, News, Recordings, Workers Union and tagged Adam Fergler, Anna Durance, Caz Wolfson, Conducting, Electronics, Ellie Steemson, Guildhall School of Music and Drama, Matt Kaner, MAX/MSP, Oliver Sellwood, Workers Union on July 11, 2011 by Ben. The Workers Union Ensemble are performing my new work Ripped Up for ensemble and live electronics as part of the University of Leeds lunchtime concert series at 1.05pm in Clotherworker’s Hall this Friday. I’m conducting my piece and Matt Kaner‘s Gauguin Sketches. Should be a good gig! This entry was posted in Composition, Conducting, Electronics, Gigs, News and tagged Clotherworkers, Live Electronics, Louis Andriessen, Matt Kaner, MAX/MSP, Ripped Up, The Workers Union Ensemble, University of Leeds on March 1, 2011 by Ben.